The upcoming KASA (Kent Architectural Student Association) open lecture will be given by Fred Pillbrow, one of the founding partners of Pillbrow & Partners on Tuesday 5th February at 6pm in Marlowe Lecture Theatre 1. Fred has over 25 years’ experience working in sensitive historic environments and with listed buildings in the UK and abroad. Besides the mixed-used urban masterplan in Birmingham with a Grade I listed train station at its heart, the practice is restoring Sir Christopher Wren’s Grade I listed St Mary’s Somerset in the City of London and the Grade II listed Walthamstow Granada Cinema. He has also been responsible for designing a number of significant London projects including the Heron Tower in the City of London whilst a Partner at KPF and the Francis Crick Institute at St Pancras whilst a Partner at PLP Architecture. Fred currently chairs the Design Review Panel of Hammersmith & Fullham and teaches at Yale University. KASA Open Lecture: Matthew Butcher, founder of P.E.A.R. The last Kent School of Architecture open lecture of 2018 will be hosted by KASA (Kent Architectural Student Association), and will be given by Matthew Butcher, editor and founder of P.E.A.R. (Paper for Emerging Architectural Research) and Senior Lecturer in architecture at the Bartlett School of Architecture. The lecture, entitled, ‘Provocation and Performance’, will take place on Tuesday 27 November at 6PM in Marlowe Lecture Theatre 1. Matthew Butcher is an academic, writer and designer. His work has been exhibited at the V&A Museum, London; Storefront for Art and Architecture, New York; The Architecture Foundation, London and the Prague Quadrennial, Prague. Recent projects and exhibitions include ‘2EmmaToc/Writtle Calling’ a temporary radio station in Essex, ‘Flood House’ a floating architecture developed for Southend and ‘The Mansio’, a retreat for writers and poets, which was nominated for the 2017 Architects Journal Small Projects Prize. Matthew is also the editor and founder of the architectural newspaper P.E.A.R. : Paper for Emerging Architectural Research and Senior Lecturer in Architecture at the Bartlett School of Architecture; where he is also Director of the Undergraduate Architecture Programme. He has contributed articles and papers for journals including Conditions, Architecture Research Quarterly (ARQ), the RIBA Journal and Architecture Today. He is also Guest Editor, along with Luke Pearson, for the upcoming special issue of AD titled Re-Imagining the Avant-Garde: revisiting the architecture of the 1960s and 1970s. Matthew Butcher’s work, formed of designs, actions and events, operates as a provocation within particular social, cultural and political contexts associated with the inhabitation of suburban and rural environments. This includes coastal sites in Essex affected by rising sea levels or the neglect of abandoned mines in the South West of England. Manifesting as built structures, events, drawings and scaled models, the work explores spaces and forms that are performative. 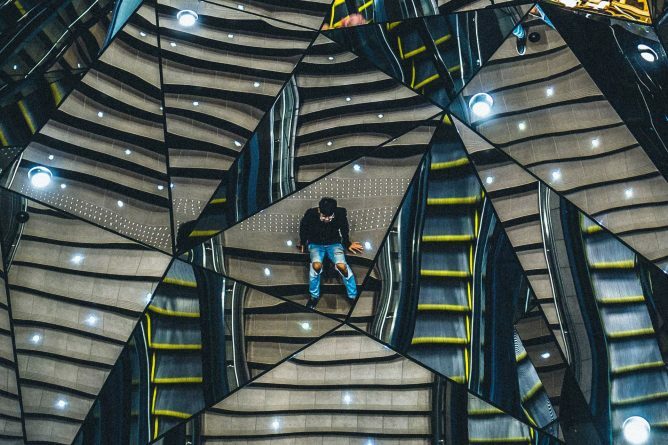 That is to say, the material state of the architecture changes, or is perceived to change, in relationship to conditions such as the environments in which they are located, or through the actions of the people who inhabit them. Cross referencing his practice with the work of architects and artists working across the disciplines of art, architecture and performance in the 1970’s, Butcher will seek to ask whether we can, through the re-contextualization of historical models, re-enact an architectural Avant-Garde today? And he will question what the use of this mode of practice can mean to the future of the discipline? This year’s Kent School of Architecture End of Year Show will open with a private view on Friday 15 June 2018. 2018 marks the 13th show the School has hosted, and this year, KASA (Kent Architectural Student Association) have announced the theme for this year’s Show is ‘Architecture and More‘, to celebrate the diversity of research that students explore within the School, and the breadth of subjects that students interact with through their studies in architecture (such as arts, photography, music, literature, science). 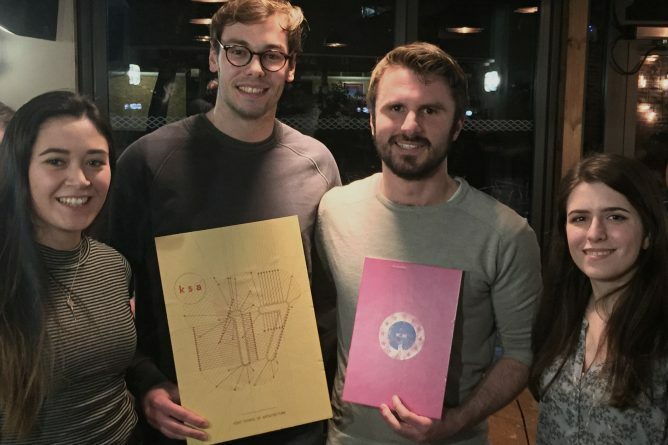 In preparation for the End of Year Show, KASA launched their Annual Catalogue Competition open to all students in the school, to design the front cover, back cover, spine and layout for the internal content for this year’s accompanying catalogue. 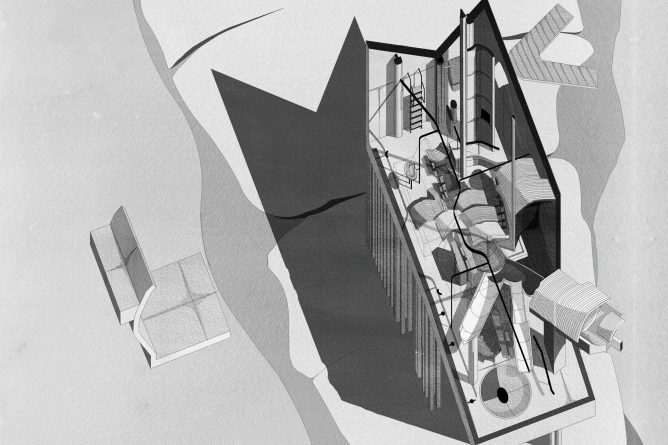 Congratulations to Elliott Ritchie and Larissa Braga, Stage 3, BA (Hons) Architecture for their winning submission. The End of Year Show will be opened at 6pm on Friday 15th June with guest speaker Charles Holland, founder of Charles Holland Architects. KASA is delighted to announce an upcoming open lecture by Gilles Retsin, from Gilles Retsin Architecture. This event will kick off the School’s Open Lecture series in the new year on Tuesday 16th January at 18.00 in Marlowe Lecture Theatre 1. 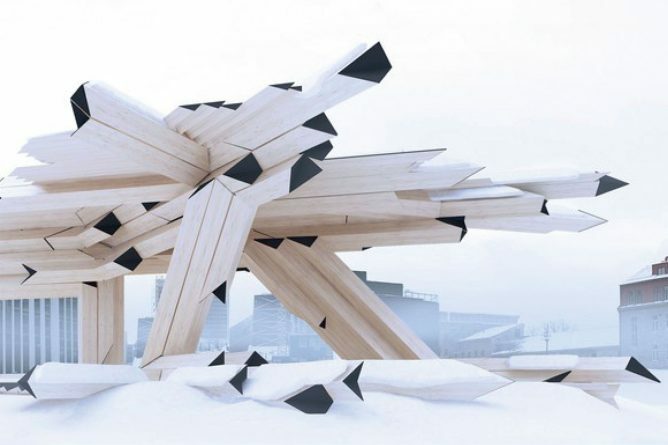 Gilles Retsin is the recent winner of the 2017 Tallinn Architecture Biennale TAB Installation Programme competition and directs a research cluster at UCL / the Bartlett School of Architecture. Gilles Retsin Architecture is a London based architecture and design practice which is interested in the impact of computation on the core principles of architecture. 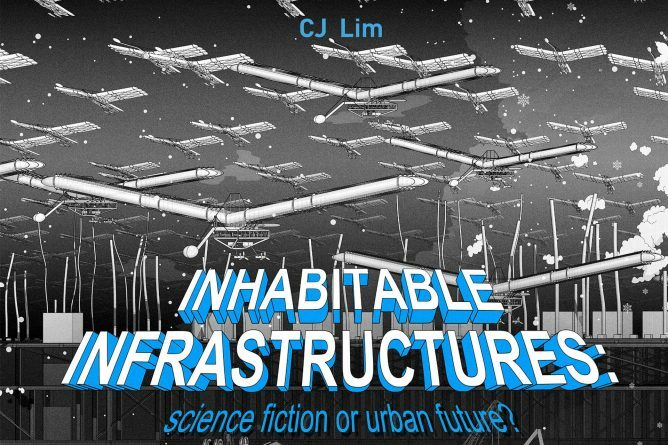 The lecture will be entitled ‘Discrete Architecture’ and explores themes about digital architecture of the future. KASA is delighted to announce an upcoming lecture by Matthew Slocombe, Director of the Society for the Protection of Ancient Buildings (SPAB). The lecture will be held in Marlowe Lecture Theatre 1 on Thursday 30th November 2017 at 6PM. The society was founded by William Morris and others in 1877. SPAB’s principal concern is the nature of ‘restoration’ or ‘repair’ to old buildings, because misguided work can be extremely destructive. 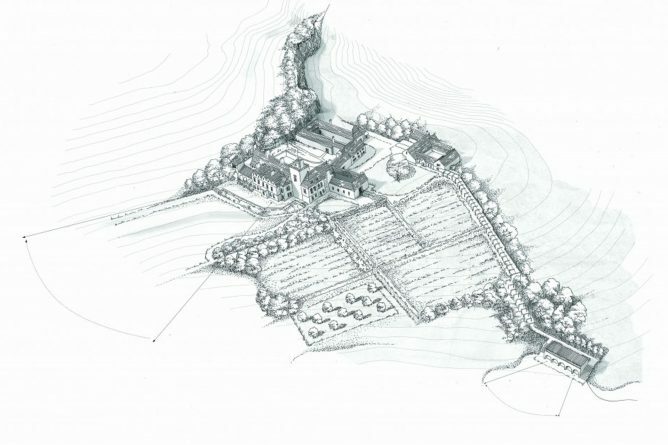 Matthew will be talking about the SPAB approach – an overview of the Society’s conservation philosophy (including repair and design issues) and an explanation of their current work (including the Philip Webb award for conservation and design, and the Scholarship programme for architects). The next KASA (Kent Architectural Student Association) Open Lecture will be given by HOK on Tuesday 14th November 2017 at 18.00 in Marlowe Lecture Theatre 1, with drinks beforehand at 17.30. KASA is delighted to announce an upcoming lecture by Larry Malcic, Design Principal at HOK. HOK is a global design, architecture, engineering and planning firm. Their mission is to deliver exceptional design ideas and solutions for their clients through the creative blending of human need, environmental stewardship, value creation, science and art. 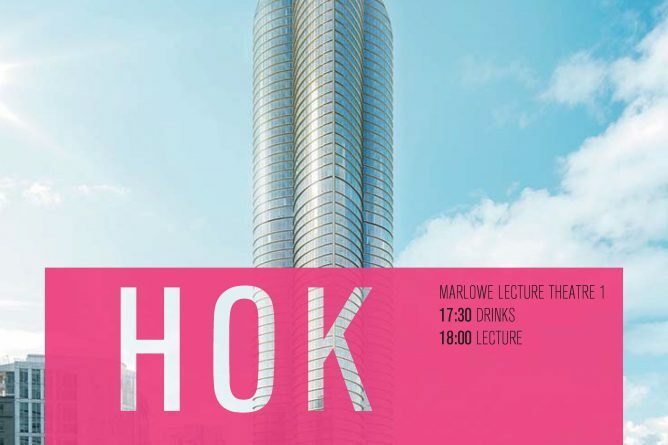 The lecture will be entitled ‘Designing HOK; Designing Spire London’ and explores the design processes behind Spire London, Western Europe’s tallest residential tower, scheduled for completion in 2020. 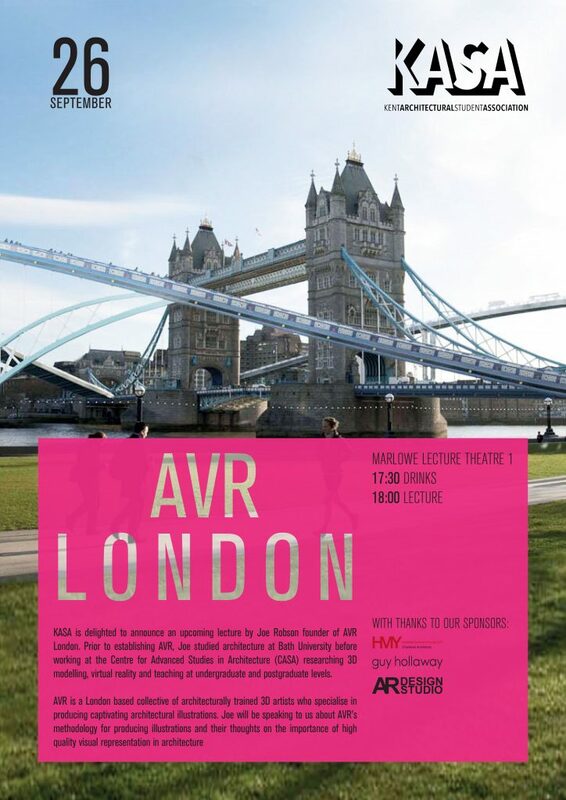 KASA is delighted to announce the first KSA Open Lecture of 2017/18 will be given by Joe Robson, founder of AVR London. Prior to establishing AVR, Joe studied architecture at Bath University before working at the Centre for Advanced Studies in Architecture (CASA) researching 3D modelling, virtual reality and teaching at undergraduate and postgraduate levels. AVR is a London based collective of architecturally trained 3D artists who specialise in producing captivating architectural illustrations. 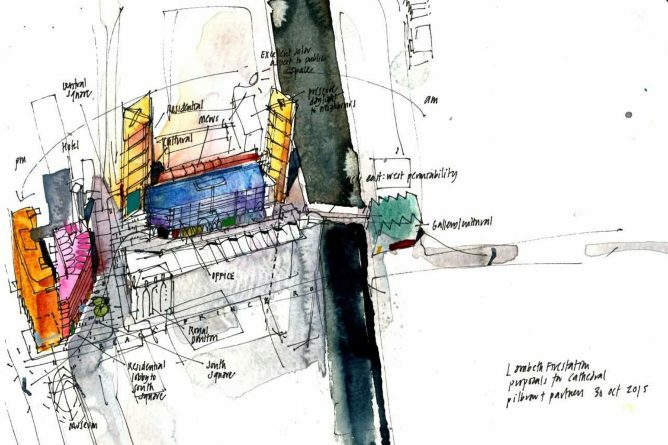 Joe will be speaking to us about AVR’s methodology for producing illustrations and their thoughts on the importance of high quality visual representation in architecture. 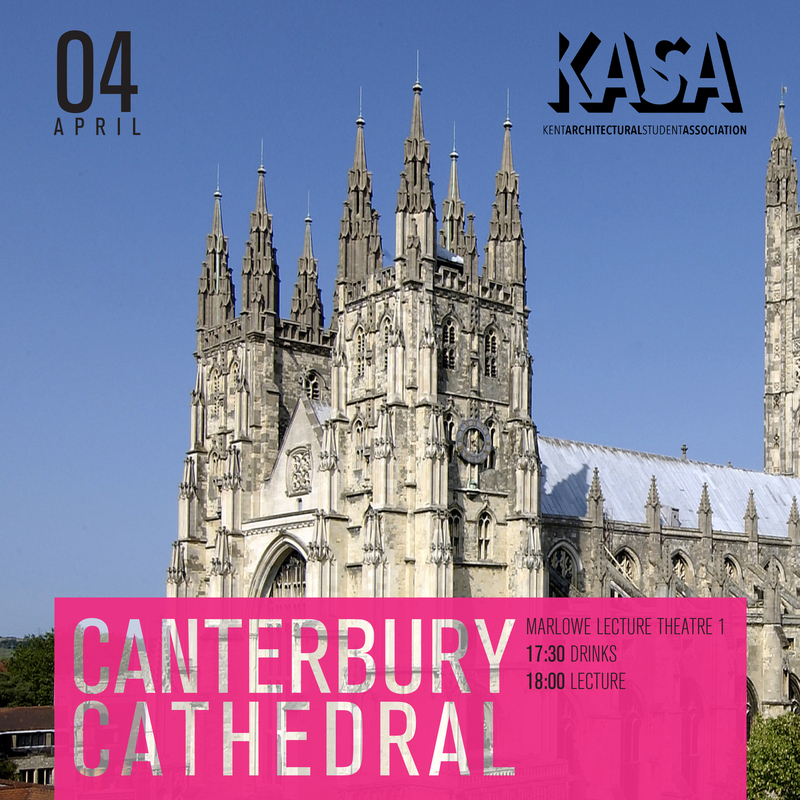 KASA is delighted to announce the upcoming open lecture will be given by Jonathan Deeming, Surveyor of the Fabric of Canterbury Cathedral on Tuesday 4th April at 6PM in Marlowe Lecture Theatre 1. Jonathan is a partner for architectural practice Purcell and has achieved qualification as an Architect Accredited in Building Conservation. Jonathan’s role as Surveyor to the Fabric is wide ranging and complex; he is responsible for preparing a survey of the Cathedral every five years, assessing the state of repair of the structure and making recommendations about the priority for repairs to the building. The lecture will discuss the recently completed, in progress and future work planned for Canterbury Cathedral. KASA Catalogue Competition – Winner Announced! On Friday 16th June 2017, the Kent School of Architecture will be celebrating it’s twelfth year with a unique take on the end of year show. The show will run through twelve hours of programmed events, exhibiting student work across the school and providing emphasis on alumni and community integration. 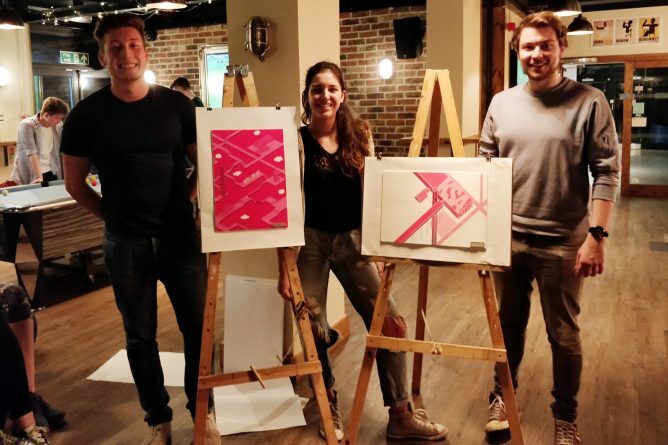 KASA (Kent Architectural Student Association) recently ran a design competition for the exhibition catalogue. There were an overwhelming number of submissions this year, so a huge thank you goes to all those involved. Congratulations to Tom Chappels of Stage 5 for his winning design, and also to runner up Matt Harrall! KASA have already begun exhibition preparations, and details of the event will follow in due course.